Suzanne Alft, President & CEO of Transformation Enzyme Corporation, is a graduate of California State University-Chico and an expert in nutrition, wellness, holistic health, and alternative medicine. A leader in the therapeutic nutraceutical and dietary supplement industry, Suzanne has been with Transformation Enzyme Corporation since 1997. She is currently responsible for business development and sales management including strategic planning, marketing strategy, team building, entrepreneurship, and coaching. 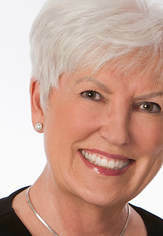 Suzanne is active with the Westchase Chamber of Commerce in Houston, Texas, and was chosen as 2010/2011 Woman of the Year by the National Association of Professional Women. She has taken the lead in giving back to our community by advancing education initiatives such as Trans4Wisdom. DicQie Fuller-Looney, Ph.D., Dr.Sc., ND, CNC, has enjoyed and been blessed by her thirty-plus years as a clinician, educator, researcher, and author. She has earned two Ph.Ds, one in Health Science and the other in Dietetic Nutrition, and also holds a degree as Naturopathic doctor from Germany’s Kneipp Heilpraktiker Akademie. Her passion in the last 35 years has been in the realm of Enzyme Therapy along with Biochemical Individualism and their use in bringing balance to the body whether involving our health, thoughts, or harmful beliefs. She also continues to research and study the changes in our food supply and their effects on child development. All of her research and clinical study are with the practitioner in mind, giving them practical, science-based solutions transforming the lives of all people. Follow her latest work at DrDicQie.com. Joseph Feste, MD, FACOG, AACS, AACG, currently serves as the lead physician and medical director for Natural Bio Health. 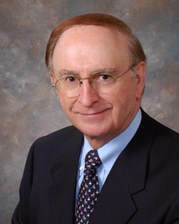 He is a member of the American Society of Bariatric Physicians with extensive experience in the fields of obstetrics and gynecology, surgical and non-surgical cosmetics, bioidentical hormone therapy, weight loss, the use of Botox and Fillers in cosmetic applications, and the use of laser technology for cosmetic and surgical applications. He received his M.D. in 1961 from Baylor College of Medicine and practiced and taught in the area of obstetrics and gynecology and women’s health for approximately thirty years. He taught obstetrics and gynecology at Baylor School of Medicine and at Ben Taub General Hospital (the latter for eleven years). Amy Rawls MS, RDN, LD, is a board certified registered dietitian, certified INFMT therapist, and therapeutic lifestyle health care practitioner. She obtained her Bachelor’s and Master’s degrees in Dietetics from Lamar University in Beaumont, Texas, with a dietetic residency performed through Lamar University. Amy has almost ten years of experience applying functional nutrition practices to an array of metabolic clinical states and is currently Manager of Clinical Services for Transformation Enzyme Corporation.